Some say "Shoot for the moon; if you miss, you'll land among the stars." But why assume you'll undershoot your goal? 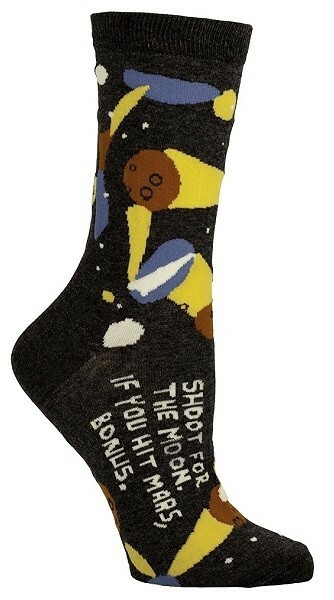 Instead, these socks from Blue Q say, "Shoot for the moon. 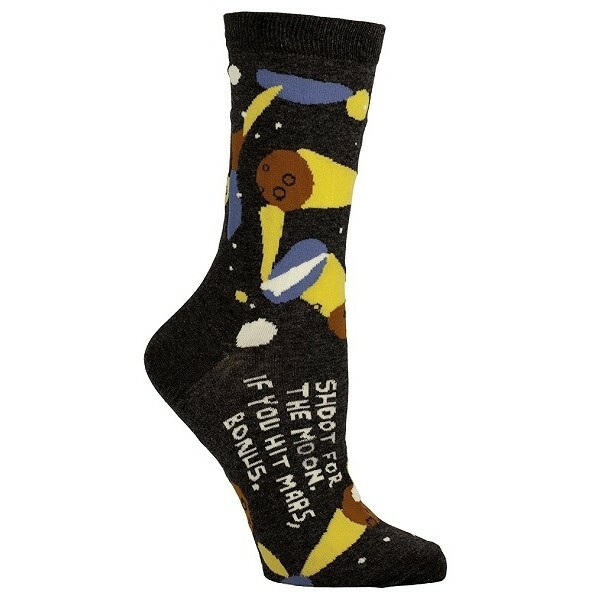 If you hit Mars, bonus." These 40% combed cotton, 58% nylon and 2% spandex socks are the perfect choice to give her the extra boost she needs to really excel. Available in one size which fits most women's shoe sizes 5 - 10.